We’ve all been there. It’s 5 o’clock, you’re in Target to grab some last minute items, and your little one starts to have a marketplace meltdown in the middle of the aisle. Then all eyes are on you and the situation at hand. It’s a tough situation to be in! 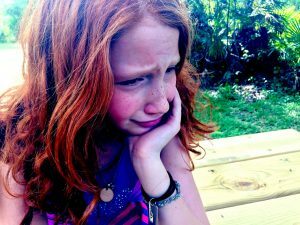 A meltdown is never easy–for you or your child! Parenting is one of the easiest jobs to have an opinion on, yet it remains one of the hardest jobs in the world. Here are some guidance strategies I’ve come up with to help you handle your next Marketplace Meltdown. Believe us, we know it happens. First thing is first, try to remove your emotions from the moment. I get it; you’re tired, or you’re nervous, or whatever, but your emotional response will only add fuel to the fire. Take a deep breath and start thinking about cause and effect. What caused the meltdown? Was your child not getting their way? Is there a sensory overload happening? Or is it simple? Your child is simply tired, and doesn’t understand just yet another way to communicate how they’re feeling. Find your cause and take it from there. Remember your child deserves to have his feelings heard, regardless of your public location. Keep their feelings in mind as you’re maneuvering the situation. Next, IGNORE the passing eyes of strangers. Chances are, you will never see them again and their opinion of you and your family does not matter. Do not make excuses for his behavior nor should you apologize for it. Give apologies where apologies are due if it is the case, otherwise don’t let it bother you. Focus on your child and let the naysayers pass on. Now, let’s follow up with consistency. How would you deal with the cause at home? So maybe your son is tired in the middle of Target and you can’t exactly get in some comfy clothes and lay in bed. BUT, maybe you offer some cuddles to soothe him and sing a favorite song. You can easily do that in aisle five, too! Or what if the meltdown was a result of not being willing to buy that piece of candy. Well how would you handle that tantrum at home? For me, when my son decided to scream in the middle of the botanical gardens for some candy, I removed him from the shop (the situation.) I then let him sit down on the side of the sidewalk to express his frustrations. I was firm with him, letting him know we would NOT be getting candy due to his behavior. This particular time took about ten minutes, with people looking at us as he sat on the sidelines kicking and screaming. I had my back turned to him, making it known I would not give in to his ways. He eventually calmed I spoke to him in a calm voice about what had happened. I let him know that it is okay to be frustrated, but gave him words to express himself. This is the exact same thing I would do at home. The big thing here is consistency and not giving in. YOU are the adult and the parent, YOU get to determine how to run the show. If you succumb to your son’s want of candy, you just reinforce that behavior, meaning he will associate the tantrum to receiving his want. Despite all this, you can prepare ahead of time to try and avoid it all! Be clear about your expectations and rules during your trip. Keep these expectations simple and constant, meaning they can apply to almost any outing. Further, talk to your kid. Communicate with them what is happening so they know what to expect. Let them know of your plans after work or school. They want to be communicated with just as much as we do. You can start this early on, so as your child grows older, the easier it becomes.